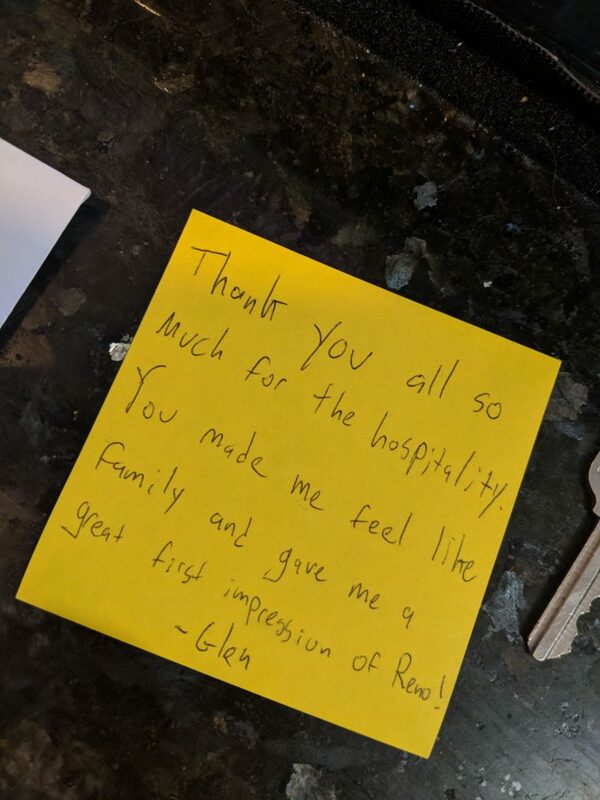 Recently, I (Gemini) was walking through the lobby, and happened to notice this gem of a note at the front desk. I didn’t get to meet Glen, but wish I had. It’s stuff like this that makes me know what we are doing is awesome, and that people notice and appreciate it. We are building something amazing here in Reno, and we hope more and more people, both locally, and from around the world will help our movement. We are making the world a better place, a prettier place by making art EVERYWHERE, and embodying the 10 Principles year round. ← Why?!?! Oh Why? !…..had a thing happen last night….